Desura client for Linux may go open source. At the moment, there is only one developer who is working on the client and he shared his thoughts on making Desura Linux client open source in a recent forum post. No decision has been taken yet but he has invited comments from the community and there has been a hugely positive reaction. If all goes well Desura client for Linux can be open sourced eventually. As i'm the only one working on Desura client due to a number of reasons I was looking into open sourcing the client aspect of Desura it self to allow the community to help out implement features and bug fixes faster and contribute this back into the client to benefit all users. As it stands, the license im looking at using is dual license; GPL v3 for the open source side and a commercial license for the company side how ever the trademark, icons and logos are not included with this. Was also thinking of using GitHub to host the project with wiki and bug tracker. Desura Linux client was initially released as closed beta and users were allowed to test the client on invitation basis and just few days back the beta client was made public. Developers have been regularly posting development logs and have been in constant touch with community. The client itself has made great progress since it was first revealed and now its fully featured. It also includes a smart library system in which the client scans a Linux distribution to find required libraries and suggests missing/conflicting libraries/tools required to play the game. This ensures maximum compatibility over a large number of different Linux distributions. Many Linux games has been added since its launch. Not only existing Linux games have been added to the database but in fact Desura has helped in bringing lots of games to Linux which were not supported until now. Desura Linux client also supports Alpha Funding where in developers give early access to all alpha/beta builds to anyone who buys the game. Open sourcing the client would mean even better community engagement and faster bug fixing and frequent improvements. 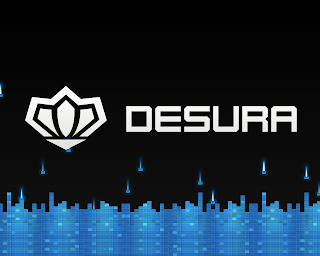 Desura has shown their love to Linux community and if the client is open sourced, we should give some love back.